Vacuum can be defined as a space that is empty of matter; however, achieving such an empty space is essentially impossible on earth. Instead, vacuum is best described as a space with gaseous pressure much less than atmospheric pressure. Physicists and vacuum scientists describe this lack of a “perfect vacuum” in manmade chambers, such as production furnaces, as partial pressure or partial vacuum. 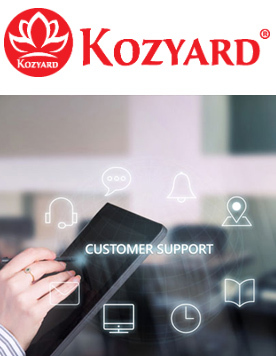 The quality of a vacuum is indicated by the amount of matter remaining in the system, so that a high quality vacuum is one with very little matter left in it. Vacuum is primarily measured by its absolute pressure. At room temperature and normal atmospheric pressure, one cubic foot (0.03 cubic m) of air contains approximately 7×1023 molecules moving in random directions and at speeds of around 1,000 miles per hour. 2 The momentum exchange imparted to the walls is equal to a force of 14.7 (psia) pounds for every square inch of wall area. This atmospheric pressure can be expressed in a number of units, but until relatively recently it was commonly expressed in terms of weight of a column of mercury 760 mm high. Thus, one standard atmosphere equals 760 mm Hg.Evacuating air from a closed volume develops a pressure differential between the volume and the surrounding atmosphere. If this closed volume is bound by the surface of a vacuum cup and a workpiece, atmospheric pressure will press the two objects together. The amount of holding force depends on the surface area shared by the two objects and the vacuum level. In an industrial vacuum system removes air from a system to create a pressure differential. Because it is virtually impossible to remove all the air molecules from a container, a perfect vacuum cannot be achieved. Of course, as more air is removed, the pressure differential increases, and the potential vacuum force becomes greater. Figure 1. Atmospheric pressure force determines height of mercury column in simple barometer. The pumpdown process begins with air at atmospheric pressure in a chamber attached to a vacuum pump. The vacuum pump removes gas molecules from the chamber to reach the desired vacuum. Gas molecules are always moving and colliding, molecule to molecule. Gas molecules at atmospheric pressure are very close together, so the collisions are very short. The distance between molecules is a function of pressure and is known as the mean free path (MFP). As the chamber is pumped down into vacuum and molecules are removed, the MFP becomes greater and greater. As pressure decreases in a chamber, fewer molecules are present and the mean free path increases. Similarly, as the gas density reduces, there are fewer chances of molecular collision. This correlation between the MFP and pressure is shown in Figure 1. Air molecules are usually removed from the chamber through a type of positive displacement pump such as an oil-sealed rotary pump. Vacuum quality is subdivided into ranges according to the technology required to achieve it or measure it. A typical distribution of the universally accepted ranges can be found in Table 3. Atmospheric Pressure– is variable but is standardized at 760 Torr or 101.325 kPa. Low Vacuum– also called rough vacuum, is a vacuum that can be achieved or measured by basic equipment such as a vacuum cleaner. Medium Vacuum– is a vacuum that is typically achieved by a single pump, but the pressure is too low to measure with a mechanical manometer. It can be measured with a McLeod gauge, thermal gauge, or a capacitance gauge. High Vacuum– is vacuum where the MFP of residual gasses is longer than the size of the chamber or of the object under test. High vacuum usually requires multistage pumping and ion gauge measurement. NASA has revealed that the vacuum level recorded on the moon was 1×10-9 Torr. Ultra-High vacuum– requires baking the chamber to remove trace gasses and other special procedures. Most standards define ultra-high vacuum as pressures below 10-8 Torr. Deep Space– is generally much emptier than any artificial vacuum. 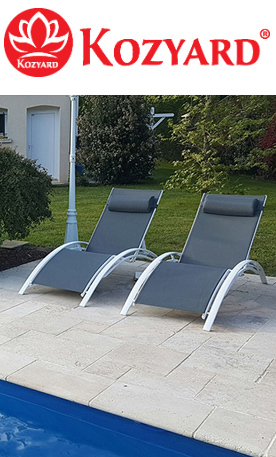 Perfect Vacuum – is an ideal state of no particles at all. It cannot be achieved in a laboratory, although there may be small volumes which, for a brief period, happen to have no particles of matter in them. The vacuum level is determined by the pressure differential between the evacuated volume and the surrounding atmosphere. Several units of measure can be used. Most refer to the height of a column of mercury — usually inches of mercury (in.-Hg) or millimeters of mercury (mm-Hg). The common metric unit for vacuum measurement is the millibar, or mbar. Other pressure units sometimes used to express vacuum include the interrelated units of atmospheres, torr, and microns. One standard atmosphere equals 14.7 psi (29.92 in.-Hg). Any fraction of an atmosphere is a partial vacuum and equates with negative gauge pressure. A torr is defined as 1/760 of an atmosphere and can also be thought of as 1 mm-Hg, where 760 mm-Hg equals 29.92 in.-Hg. 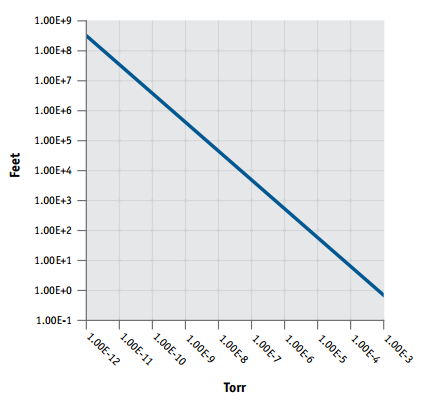 Even smaller is the micron, defined as 0.001 torr. However, these units are used most often when dealing with near-perfect vacuums, usually under laboratory conditions, and seldom in fluid power applications. Atmospheric pressure is measured with a barometer. 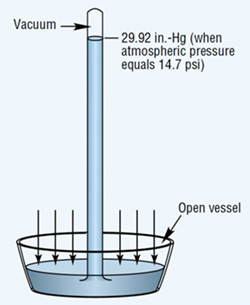 A barometer consists of an evacuated vertical tube with its top end closed and its bottom end resting in a container of mercury that is open to the atmosphere, Figure 1. The pressure exerted by the atmosphere acts on the exposed surface of the liquid to force mercury up into the tube. Sea level atmospheric pressure will support a mercury column generally not more than 29.92-in. high. Thus, the standard for atmospheric pressure at sea level is 29.92 in.-Hg, which translates to an absolute pressure of 14.69 psia. The two basic reference points in all these measurements are standard atmospheric pressure and a perfect vacuum. At atmospheric pressure, the value 0 in.-Hg is equivalent to 14.7 psia. At the opposite reference point, 0 psia, — a perfect vacuum (if it could be attained) — would have a value equal to the other extreme of its range, 29.92 in.-Hg. However, calculating work forces or changes in volume in vacuum systems requires conversions to negative gauge pressure (psig) or absolute pressure (psia). Figure 3 illustrates that relationship of absolute and gauge pressure with 0 PSIA equal to a high or hard vacuum. Atmospheric pressure is assigned the value of zero on the dials of most pressure gauges. Vacuum measurements must, therefore, be less than zero. Negative gage pressure generally is defined as the difference between a given system vacuum and atmospheric pressure. The figure 4 is a typical vacuum pressure gauge. Vacuum gauges all measure the pressure readings in the range from atmospheric pressure down to some lower pressure approaching absolute zero pressure, which is not attainable. 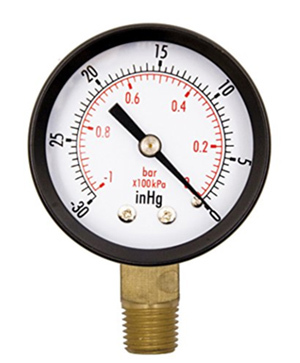 Some gauges read the complete range and others can only read a portion of the range, usually used for very low pressures. If you have a typical vacuum furnace it is normal to have at least three electronic vacuum gauge heads mounted on the system to monitor the level of vacuum at selected positions. These gauge heads send signals back to the controls system and the vacuum readings are used to ensure that the vacuum pumps are working correctly and that the process chamber is at the correct low pressure (vacuum) for the specific process. To many casual observers the readings and names of the measuring units being used are like a foreign language, and they may well be because many names were derived in Europe. Let’s take a look at the different vacuum measurement units in use around the world and where the names came from. Pascal, symbol Pa, where standard atmospheric pressure is 101,325 Pa. Note that 101,325 Pa is 100 times larger than 1013.25 mbar, so 1 mbar = 100 Pa.